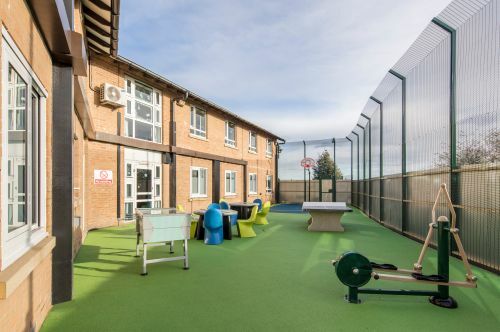 A traditional inpatient ward at Mile End Hospital has been completely transformed to provide a 21 bed Dementia Assessment Ward. 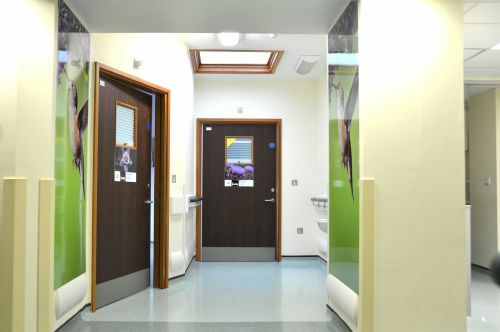 A tight budget and challenging programme meant that many of the existing finishes had to be retained. The fresh new colour scheme works in harmony with the existing elements. 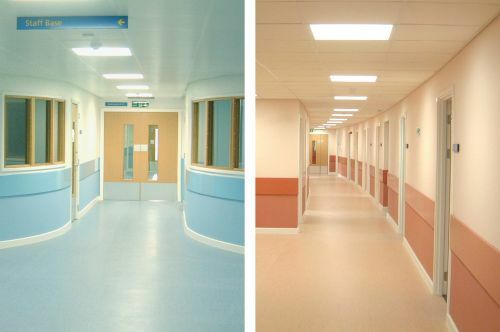 In collaboration with Kingston University’s Faculty of Art, Design + Architecture we established the most appropriate colour palette to suit the dementia patients’ sensory needs. 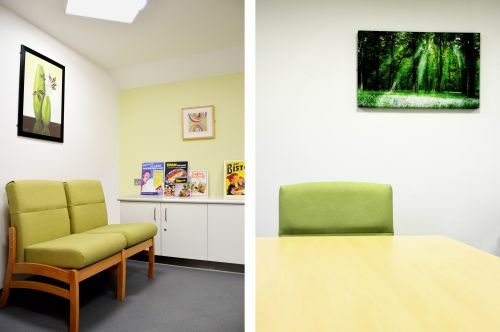 Instead of adopting traditional wayfinding signage we developed a strategy of using large scale images and symbols in liaison with the clinical team. 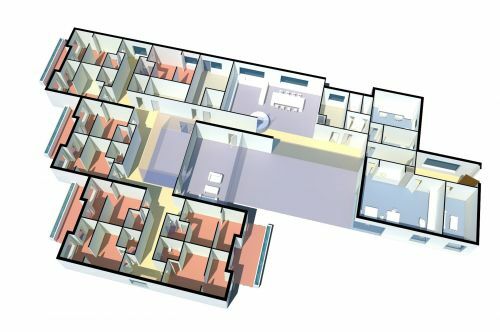 Along the corridors, full height images assist residents in identifying direction and position. 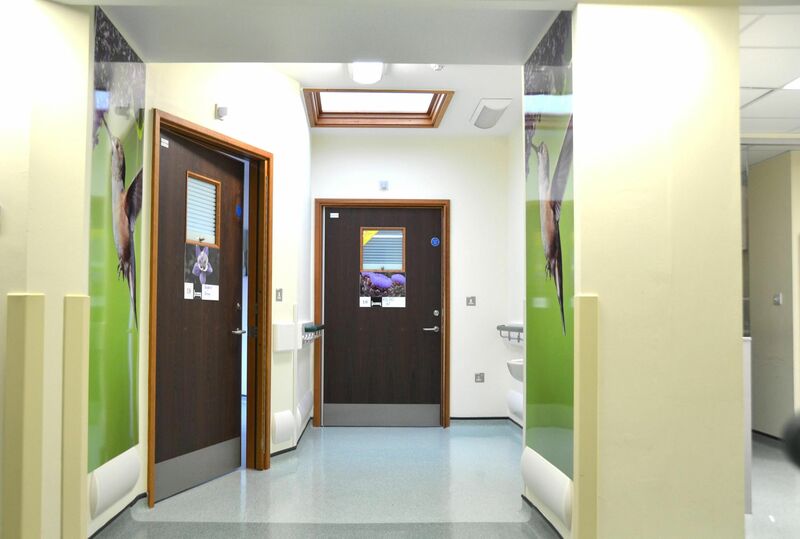 Each bedroom door is fitted with a unique image sign including a whiteboard area that can be personalised for each new room occupant. 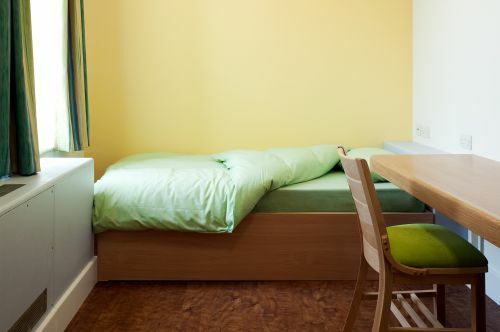 Open bed bays were converted to single bedrooms and all remaining areas were refurbished, receiving a fresh colour scheme and new fittings. 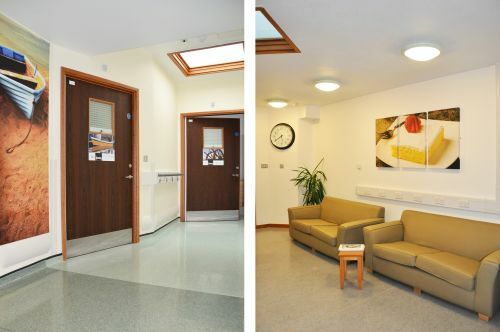 The ward has separate male and female wings with shared day facilities. 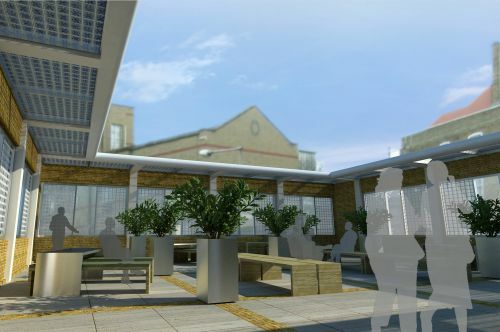 The project has been a great success as part of the East London NHS Foundation Trust’s ongoing restructuring of their Older Adult Services. For more than five years we have worked closely with Sonnemann Toon Architects on a number of different projects. They have been easy to work with and have understood our often complex requirements. Their proactive approach to consultation and helpful suggestions and insights have been much appreciated through the course of our projects.